CAPTRUST Named #1 Advisory Firm in U.S. 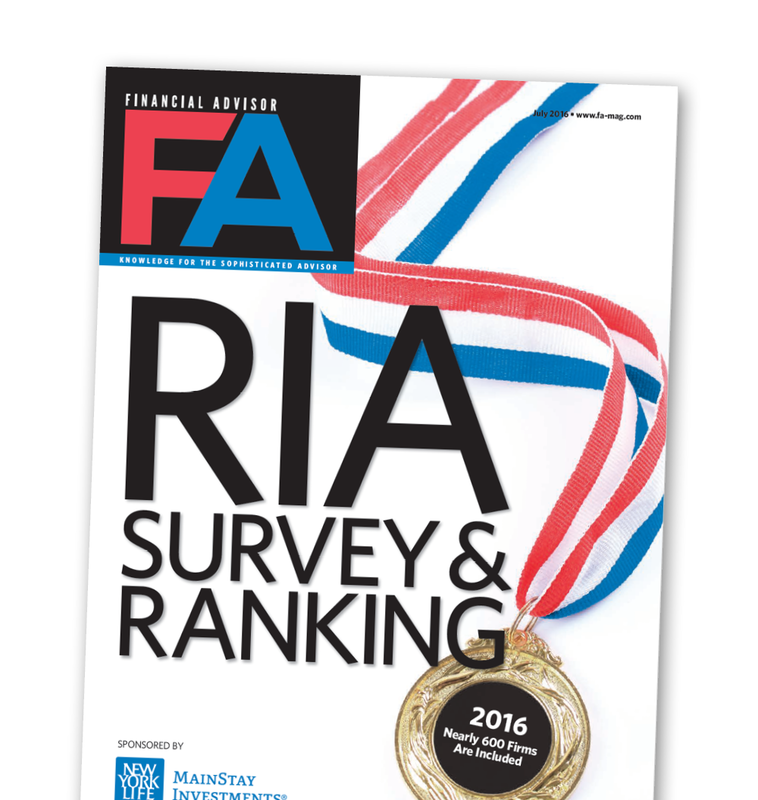 In its July 2016 issue, Financial Advisor magazine ranked CAPTRUST number one among registered investment advisors (RIAs) with assets in excess of $1 billion. The magazine's annual survey analyzes several metrics, including assets under advisement, asset growth over the trailing year, assets per client, and a number of other indicators of business success. Authors Evan Simonff and Eric Rasmussen cite recent challenges for the investment advisory industry, such as the Department of Labor's fiduciary rule, lackluster and volatile capital markets, advisor succession, and the challenges of investing in the technology and infrastructure necessary to grow. In fact, of the 612 RIAs that participated in the survey, "more than one-third, 219, said they saw assets under management shrink last year," according to the article. Despite industry headwinds, CAPTRUST's client assets and number of clients grew by 15.3% and 9.5%, respectively, during 2015. Last year was a record year for CAPTRUST on several fronts. Client assets under advisement grew from $147.7 billion to $169.1 billion and the firm added offices and financial advisors in three locations: Santa Barbara, California; Bethlehem, Pennsylvania; and Dayton, Ohio. CAPTRUST Financial Advisors is an independent investment research and fee-based advisory firm specializing in providing retirement plan and investment advisory services to retirement plan fiduciaries, executives, and high-net-worth individuals. Headquartered in Raleigh, North Carolina, the firm represents more than $180 billion in client assets with offices in Alabama, California, Connecticut, Florida, Georgia, Iowa, Michigan, Minnesota, Missouri, New York, North Carolina, Ohio, Pennsylvania, Texas, and Virginia.